We will be releasing RawTherapee 5.6 within a week. Yesterday we made a release candidate - you can help by reporting what system you tested it on and whether it worked as it should. Source code: either checkout tag 5.6-rc1 in git, or get our tarball (do not use the auto-generated GitHub release tarballs). 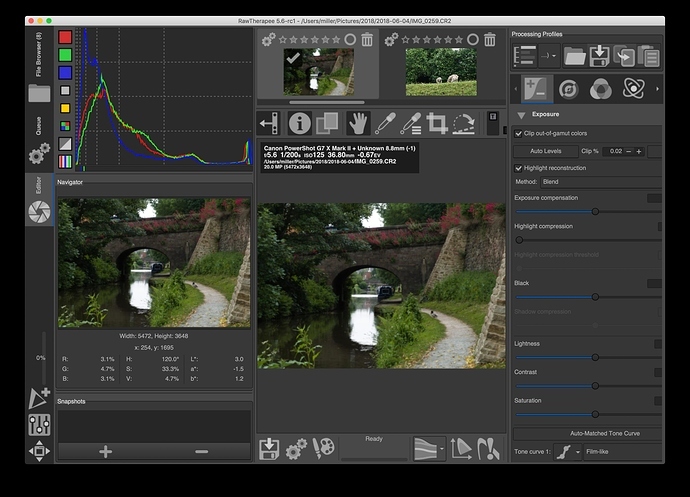 The AppImage runs fine in Sabayon. It’s with gvfs ver 1.40.0. 5.6-rc1 also builds and runs fine on Manjaro XFCE. connected to an UHD monitor. I tried removing Application Support/RawTherapee in case the old settings where upsetting something, but it didn’t help. @paulmiller as stated in the release notes, interface scaling depends on the font size (as set in RT, which is inherited from your system-wide font size on first run), on DPI, and on display scaling. No scaling occurs when the font size is set to 9pt, DPI is set to 96 (or 72 for macOS) and scaling is set to 1 (100%). Experiment with these parameters. The Appimage runs fine on Ubuntu 18.04 LTS, based on a quick test. Changing the font sizes to 9 point makes the text look better, but the icons are still much too large. The display resolution is fixed at 144dpi (I’m not sure what GTK thinks it is). I can’t find any setting for display resolution in RawTherapee - is there a hidden setting for it somewhere in a config file? 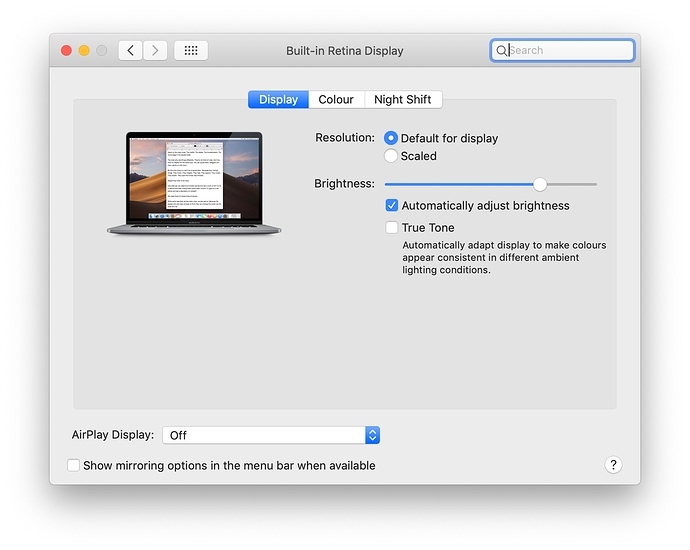 Changing display scaling in System Preferences doesn’t help (apart from making everything else the wrong size as well). RawTherapee 5.5’s UI is scaled correctly on the same machine. I can’t find any setting for display resolution in RawTherapee - is there a hidden setting for it somewhere in a config file? No, it’s inherited from your system. 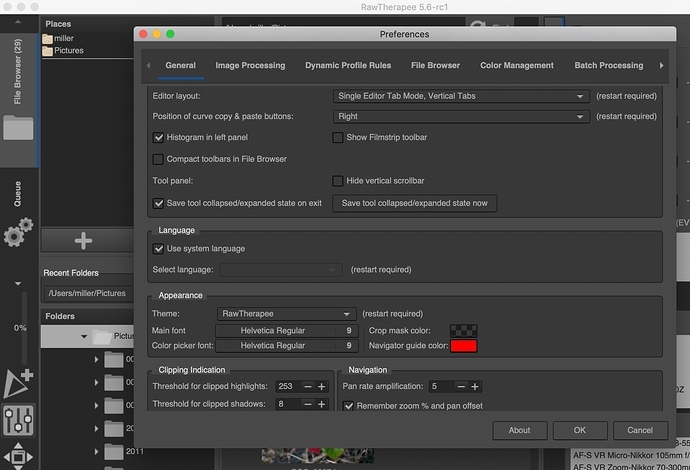 @paulmiller meanwhile, please show a screenshot of RawTherapee’s Preferences > General tab, along with screenshots of your macOS font size, DPI and display settings. but I don’t see a “favorites” tab. The tools are not removed from their usual place, either. I did restart the program. Note that changing the main font size from the default of 10 to 9 makes the text go huge until you quit and re-launch RawTherapee. (the Color picker font defaults to 8). @mbs It works here with the favorites tab. Where’s your config files located? Are you sure you modified the right one? It should be located in ~/.config/RawTherapee5-5.6-rc1-ai/ if I stand correct. This is really weird… so, am I correct that I should see a new tab next to the usual Exposure, Detail, Color, etc, tabs? RawTherapee overwrites the options file when it exits. What happened was that I modified the file, then restarted RawTherapee. It overwrote my changes on exit. If I modify the file while RT is closed, it works fine. I’d suggest adding a note to the wiki warning against modifying the options file while RT is running. @mbs This is true for most apps but it still stumps me once in a while. I added a link to the Windows build in my first post. Thank you @gaaned92 @HIRAM @Carmelo_DrRaw for making the builds!